Angelman syndrome is a genetic disease with no cure. Children grow up with severe intellectual disabilities and a range of other problems, arguably the worst of which are epileptic seizures. Now scientists at the UNC School of Medicine have found evidence that genetic therapy may prevent the enhanced seizure susceptibility. Rush University Medical Center and the Angelman Syndrome Foundation, a national nonprofit organization headquartered in Aurora, Ill., announced the official opening of the Angelman Syndrome Clinic at Rush Children's Hospital. The group, led by the Ikerbasque professor Ugo Mayor of the UPV/EHU's Department of Biochemistry and Molecular Biology, has just published in the journal Human Molecular Genetics an explanation of the mechanisms affected by Angelman syndrome. One often hears about the multitude of genes we have in common with chimps, birds or other living creatures, but such comparisons are sometimes misleading. The shared percentage usually refers only to genes that encode instructions for making proteins -- while overlooking regulatory genes, which nonetheless make up a large part of the genome. A collaborative group of parent-driven organizations seeking a cure for Angelman syndrome has teamed up with F. Hoffmann-La Roche Ltd, one of the world’s largest pharmaceutical and diagnostics companies, in the first phase of a study that will support the design of human clinical trials and treatment development for the disorder. Researchers at UConn Health used stem cells derived from patients with Angelman syndrome to identify the underlying cellular defects that cause the rare neurogenetic disorder, an important step in the ongoing search for potential treatments for Angelman and a possible cure. Researchers at Beth Israel Deaconess Medical Center have gained new insight into the genetic and neuronal circuit mechanisms that may contribute to impaired sociability in some forms of Autism Spectrum Disorder. When a child is conceived, he or she receives DNA from both parents. The child's own genome thus consists of a maternal and a paternal genome. However, some genes — about 100 out of the 20,000 encoded genes— are exclusively expressed either from the maternal or from the paternal genome, with the other copy of the gene remaining silent. The gene UBE3A plays a critical role in early neurological development. If UBE3A is overexpressed - or if the enzymatic function of UBE3A protein is hyperactive - autism ensues. A lack of functional UBE3A causes Angelman syndrome (AS), a neurodevelopmental disorder characterized by severe developmental delay, motor deficits, absence of speech, and, in most cases, epilepsy. Monitoring participants' biological clocks may be the quickest way to determine the effectiveness of experimental drugs currently under development to treat Angelman syndrome: a debilitating genetic disorder that occurs in more than one in every 15,000 live births. UNC School of Medicine researchers have found for the first time a biochemical mechanism that could be a cause of "chemo brain" - the neurological side effects such as memory loss, confusion, difficulty thinking, and trouble concentrating that many cancer patients experience while on chemotherapy to treat tumors in other parts of the body. 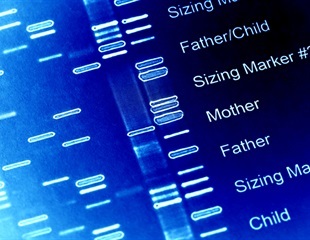 Most genes are inherited as two working copies, one from the mother and one from the father. However, in a few instances, a gene is imprinted, which means that one copy is silenced. This is called genomic imprinting. If the active copy is mutated, then disease results, even though the silenced gene copy may be normal. Because the severe autism-like condition Christianson Syndrome was only first reported in 1999 and some symptoms take more than a decade to appear, families and doctors urgently need fundamental information about it. A new study that doubles the number of cases now documented in the scientific literature provides the most definitive characterization of CS to date. Computer analysis of photographs could help doctors diagnose which condition a child with a rare genetic disorder has, say Oxford University researchers. When you experience something, neurons in the brain send chemical signals called neurotransmitters across synapses to receptors on other neurons. How well that process unfolds determines how you comprehend the experience and what behaviors might follow. In people with Fragile X syndrome, a third of whom are eventually diagnosed with Autism Spectrum Disorder, that process is severely hindered, leading to intellectual impairments and abnormal behaviors. A team of neuroscientists has identified a protein in laboratory mice linked to impairments similar to those afflicted with Angelman syndrome (AS)—a condition associated with symptoms that include autism, intellectual disability, and motor abnormalities. Children born as a result of assisted reproduction are at no greater risk of cancer than children born spontaneously in the general population, according to results of one of the largest ever cohort studies of ART children. Researchers with the UC Davis MIND Institute and Agilent Laboratories have found that Prader-Willi syndrome - a genetic disorder best known for causing an insatiable appetite that can lead to morbid obesity - is associated with the loss of non-coding RNAs, resulting in the dysregulation of circadian and metabolic genes, accelerated energy expenditure and metabolic differences during sleep.